Notes: Water Soluble Antibiotic for fish and ornamental birds. Suitable for first line treatment of a range of disease in fish and birds. Chlortetracycline is an antibiotic that is effective against organisms commonly causing diarrhoea and respiratory diseases. 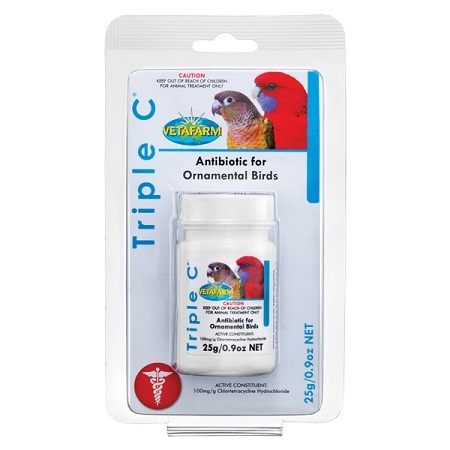 Water Soluble Antibiotic for fish and ornamental birds. Suitable for first line treatment of a range of disease in fish and birds. Chlortetracycline is an antibiotic that is effective against organisms commonly causing diarrhoea and respiratory diseases.Vetafarm powdered medications are not safety sealed.